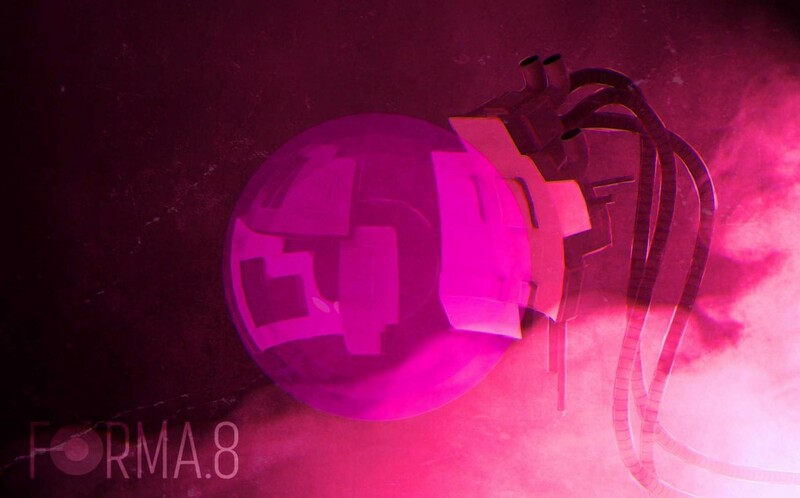 Forma.8 has been in development for some time, originally teased two years ago it has now made its way to release and it seems that the wait has been more than worth it. The small two man studio based in Turin in Italy has delivered a beautiful, affecting take on the 2D “Metroidvania” style game that while not entirely original offers an intriguing mystery that pushes you forward to uncover. The setup at the beginning is minimal: you are a small probe sent to an alien planet to catalogue and scan it to find its secrets. Upon deployment something goes wrong and you crash land and are stranded alone. Once you awaken and gain control of your little probe, you glide around the map looking for a way out. Early on you find another probe that has been all but destroyed, leaving only one component that you can absorb and utilise. This discovery provides your probe, a delightful anthropomorphic thing faintly reminiscent of EVE from Pixar’s WALL-E, with a shield that can be pulsed to ward off the alien fauna that periodically attacks you. If you are hit you lose energy, but if you manage to kill one of the enemy types, upon their death, they leave little orbs of power that replenish your meter. Later power ups include a small bomb that you can fire off in any direction by pulsing your shield as well as a turbo boost and other skills to help you navigate the environment. While not immediately obvious, the storytelling is deliberately nebulous, forcing you to investigate in order to proceed. Like all games of this type, there are a variety of ways that you can head out, however inevitably you will come to an area that you cannot progress in because you have yet to locate the power required in order to move forward, so expect a lot of backtracking as is common in this type of game. In addition there is an underlying mystery to the planet and there are a number of areas that initially make no sense to you. These areas are not communicated as such and early on frustration can creep in as the answers are not readily available and it isn’t obvious immediately that you don’t have the answers at that particular time. To compound this, Forma.8 provides little to no tutorial or hints at all, other than advising the relevant button to press to activate a particular power. Even the menu system is a series of geometric shapes and numbers that are not immediately obvious to parse. The way the game communicates to you is significant as I don’t feel it is entirely successful at the beginning. Some of the early game puzzles and the first boss fight feel a little obtuse with the solution coming a little too left-field to be immediately obvious, particularly in light of the way the game teaches you to play at first. This is potentially a major stumbling block as it comes very early on in the game, however you are more than rewarded for your perseverance because Forma.8 is a stunningly beautiful game. The visual presentation is utterly gorgeous with a wonderful use of shadow to create depth and lighting effects. The background is a collage of shapes that give life and mystery to the alien planet, and there is a real sense of place with a living planet teaming with life and remnants of a forgotten civilisation. The probe glides around the environment serenely, a small particle trail snaking around behind it gracefully and when in water the movement is slowed down and there is a real sense of the viscosity of it. When Forma emerges from the water there is a feeling of the drag required to exit it complete with a little “plop” noise. The soundtrack complements it all perfectly with little piano notes when collecting energy and waves of electronic music that ramp up in high pressure situations. The creatures you come across are not necessarily hostile, their behavior is more inquisitive, but unfortunately they do have the power to harm you. You can kill them to replenish your energy, but other than removing them so that you can focus on a particular task there is very little requirement for you to do so: the focus is far more on exploration and the limited means that Forma has to protect itself confirms this. 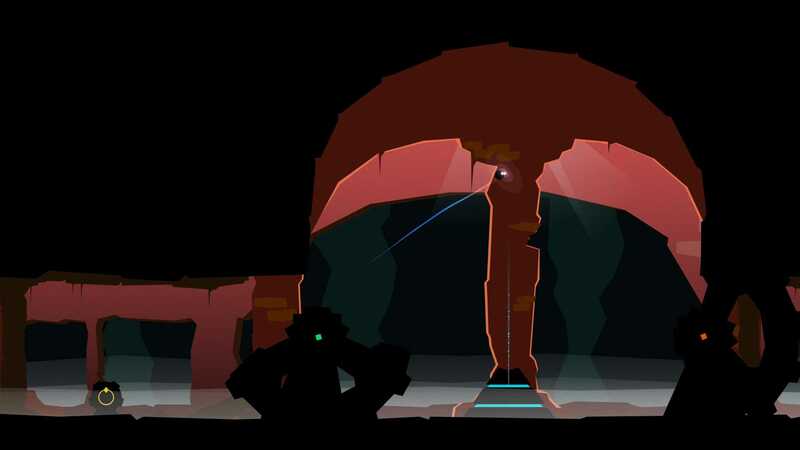 Forma’s movement is momentum based and this is used to great (and sometimes frustrating) effect on a variety of environmental and timed puzzles. Teasing the thumb sticks just enough to generate movement in one direction, but not too much that a quick change in the other direction becomes a harder prospect. 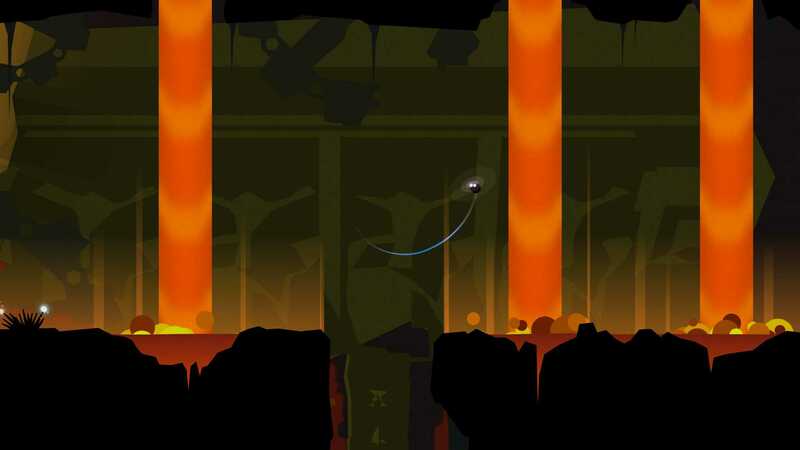 During boss fights the momentum of Forma can become a challenge: trying to line up your bombs to pulse them at an enemy or to escape through a sequence of tight narrow spaces cleanly without wasting too much time knocking into the walls creates moments of frustration when you fail but joy when you finally manage to pull the manoeuvre off. Forma.8 is a challenging game, which isn’t helped by early communication issues, but it does reward persistence with a colourful and alive world to explore. The design is wonderfully accomplished with gorgeous visuals and complex and interesting puzzles. Your little probe manages to convey pathos despite being completely expressionless so much so that I felt quite attached to it as I progressed further in the game. The core mystery of what the alien planet has to offer is a key driving force behind much of your compulsion to move forward and, while frustration does rear its head at times, there is always something new and delightful to discover. Forma.8 has been worth the wait then, and is absolutely worth your time. Forma.8 is an utterly gorgeous and affecting take on the familiar 2D Metroidvania style game with some clever puzzles for your plucky little probe to navigate.